At Allison Paving we supply and install fencing of all kinds, whether you require fencing for privacy, protection, pest control, shelter or as an attractive backdrop to your garden then look no further. We are now a Jacksons Fencing Approved Contractor that offer a comprehensive 25 Year Guarantee giving you total peace of mind when we install these great looking fences for you, so please get in touch if you are thinking about having fencing to allow us to show you the quality of Jacksons Fencing. We supply and fit traditional close board fencing that is strong, durable and can be constructed on most types of ground conditions. Whether your land is level or sloping, we can stagger fence panels to accommodate any obstructions such as tree roots or drains. We can design and manufacture fencing to suit most garden specifications including concave and convex designs. 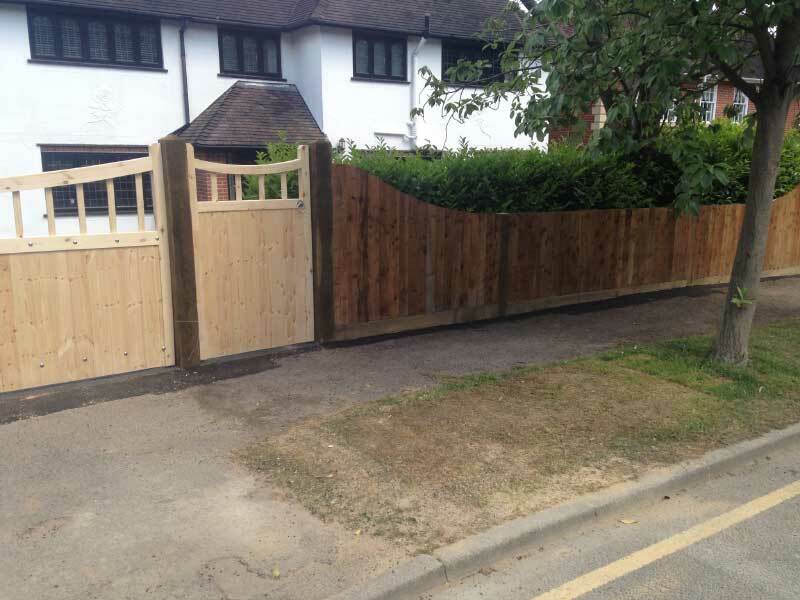 Your fencing will consist of gravel boards running along the bottom with a number of arris rails clad with featheredge boards, all of which is fitted between deeply set morticed posts. Posts are normally set at 1.8m intervals but in some instances, a shorter section may be used in order to avoid an obstruction such as tree roots, pipes, etc. Allison Paving offer a comprehensive range of fencing services for domestic, industrial and agricultural use. 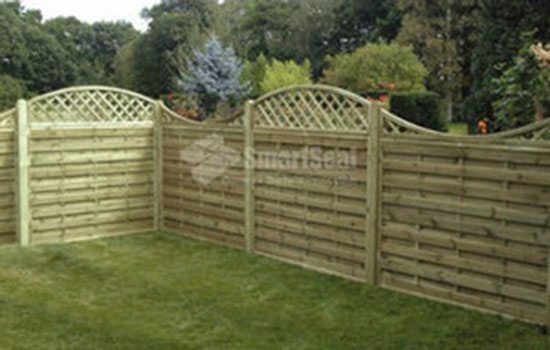 Not only do we offer fence panels of many shapes and designs but also Timber Posts, Trellis, Security Fencing, Palisade, Chain Link, Stock Fencing, Hazel and Willow Fence Panels a range of tools and all fencing sundry items. We are based in Essex and fit concrete posts and gravel boards as standard. As an extra option, wooden posts and gravel boards are also available for you to order. Just let us know what you require and we can accommodate you. Protect your home by having a new fence installed around your garden. This will give you the privacy you need from your neighbours and the general public. You will be happy knowing that your children and pets will be safe to play in your garden without being able to get out with our secure gates. Our gates come in various styles. Choose between a single or a double gate that we can supply and fit along with the wide selections of fence panels we have to offer. We pride ourselves on our first class workmanship and excellent customer service. If you would like us to remove your old fence panels then please let us know and this can be arranged before we start installing your new fence panels. Contact us for a free no obligation quote and for more information on the complete range of fencing services we provide. If you want to have a look at some of our local work on Fencing please view our fencing image gallery.